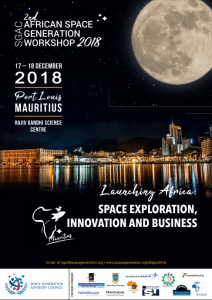 What is the African Space Generation Workshop? The two-day regional workshop will bring together students, young professionals and industry representatives to examine, consider and stimulate interdisciplinary perspectives on space and scientific matters in the African region. Selected participants (around 100) will have the opportunity to interact with experts from academia, businesses and space agencies through plenary and panel sessions, keynotes and interdisciplinary working group discussions. Exchanges will focus on critical space sector opportunities and challenges, global policy initiatives and international cooperation. The Space Generation Workshops (SGWs) are held in every region, each focusing on challenges local to the region, involving both local & regional stakeholders. We invite students and young professionals between the age of 18 to 35 years old (as of December, 18, 2018) who are resident or whose country of citizenship is in Africa and are passionate about the space industry to apply to be part of the delegation. Past delegates have attended from all around Africa and from a wide variety of disciplines (engineering, business, science, arts, medicine and law). What is my Role at the AF-SGW18? By attending the African Space Generation Workshop, you will have the opportunity to learn, share knowledge and network with fellow students and young professionals in the industry, and meet the industry’s leaders and experts. All discussions from the working groups are expected to produce recommendations to relevant public, private and non-governmental sectors, helping to shape the future of the African space industry. Reports and recommendations from the workshop will be presented at high-level conferences and included in the SGAC annual report submitted to the United Nations Committee on the Peaceful Uses of Outer Space (UN COPUOS). 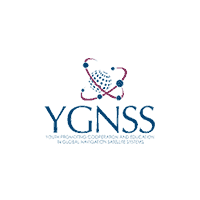 Applications for the 2nd African Space Generation Workshop are OPEN! Call for applications to the African Space Leaders Award now closed! The African Space Generation Organising team all worked together to design a logo that truly represents the mission and purpose of this year’s workshop. 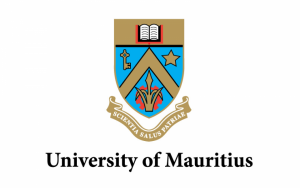 Using a combination of the SGAC colours in the shining stars above the African continent, a rocket can been seen launching from the region with a ‘Dodo’ – emblem of Mauritius. On the side of Africa, a star stands out, the island of Mauritius which is the host nation. The workshop’s theme is ‘Launching Africa’ and the team is proud to recognise it in its true essence. We thank Ms Annika Müller for creating this beautiful representation for the event. Additionally, we would like to thank Mr Opeyemi Olugbemiro for his contributions throughout the creation and all the members of the organising committee for their ideas.